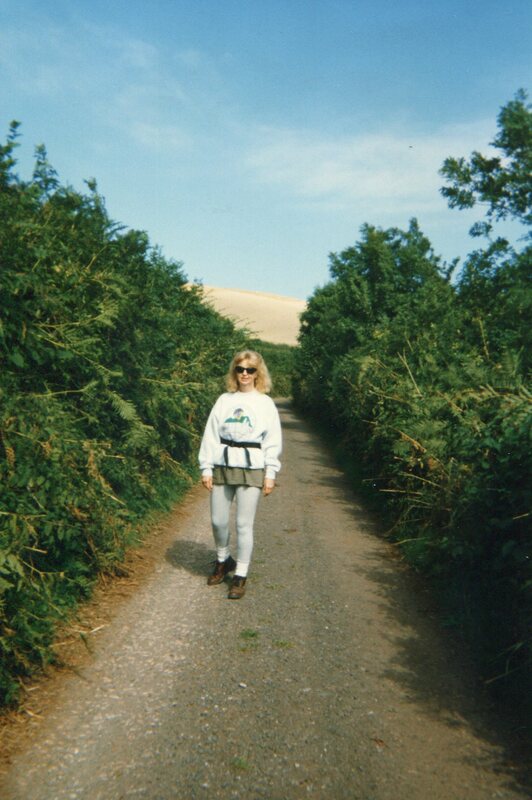 It’s been about 19 years since I went on my first walking tour of England and Wales…it was 1996, to be exact. The month was September, and the weather could not have been more perfect, the countryside more beautiful. If anything motivated me to begin hiking, it was this trip. Of course, not every hike is perfect…weather, nervousness about driving on the left hand side of the road (and the roundabouts! ), finding a good place to stay. Nonetheless, the two weeks spent here were an eye-opener. Who knew these out of the way places existed? Some of the towns and countryside looked as if they had never moved into the 20th century…and still retained the innocence of an earlier time. So…on to London. Arriving at Gatwick I found a porter who whisked me onto the Airport Express train to Victoria Station – somehow missing the customs melee. “There’s no-one there – no problem!” (You could tell this was pre-9/11.) On the train into London, I spied a fox slinking into the underbrush, its bushy red tail waving in the breeze. 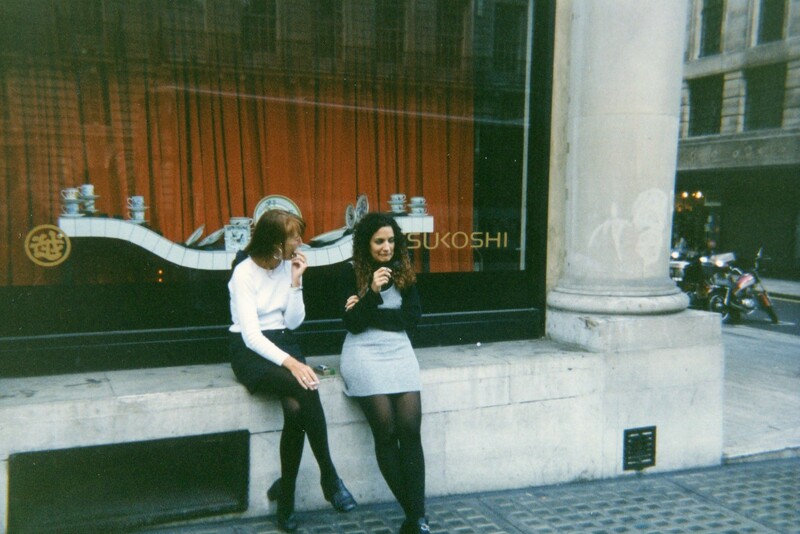 Once in London, I grabbed a taxi to the Covent Garden Hotel. 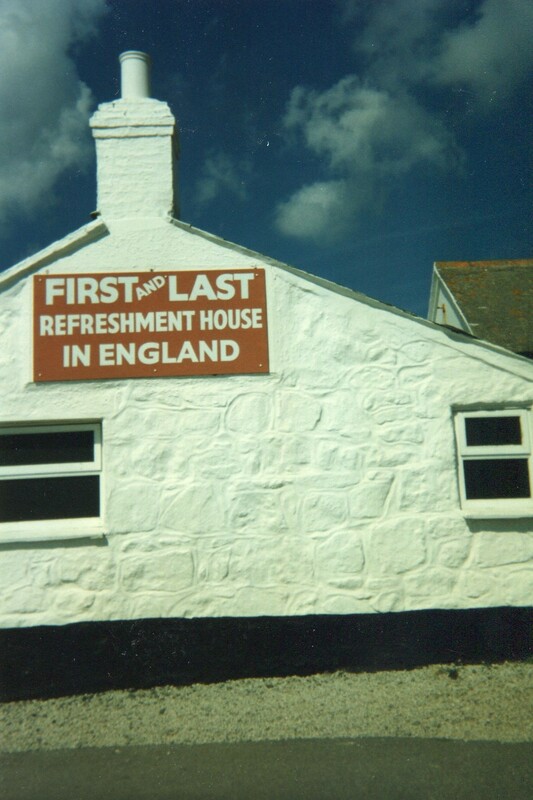 I was meeting Lee here later – and the suite wasn’t going to be ready for hours – so I settled in the library sitting room to read and drink a cup of tea with real cream (three pounds!) The hotel is a former French hospital which had become a delightful four-story retreat, small and intimate, and splashed with chintz. The library offers deep sofas and chairs, The London Times and Observer, and London Vogue. Back at the hotel, our suite was ready. Padded yellow rose chintz coats the windows, bed and loveseat. Beautiful more-than-full-size feather beds sit high, high up, with immense feather pillows. An equally immense bathroom holds a deep soaking tub with a separate shower. 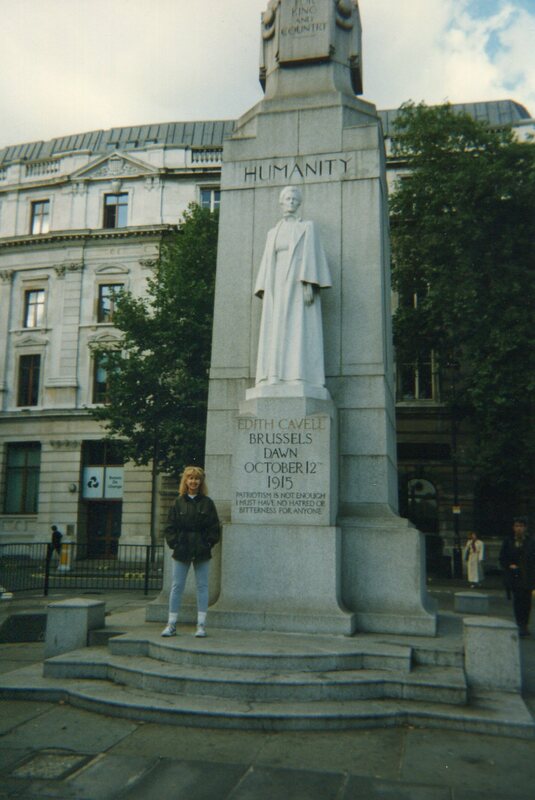 That night, we moseyed once again around Covent Garden and Leicester Square, where the crowds were really overpowering – there was hardly room to move. After a light dinner, it was back to the hotel to prepare to take off early in the morning. Surprise: we overslept! We had barely enough time for breakfast before our car was delivered. At 9:45 AM, a sharp-looking little red Rover rolled up to the front door. As designated driver, I immediately smashed the left hand rearview mirror while trying to negotiate the tiny, tiny one-way streets of London. We managed to get out of London – but it was an absolutely wild trip, as I had never driven a “left-handed car” and kept driving into the curb. And the roundabouts! It took me days to get used to them. Finally, we got out of London, stopping in the tiny town of Weybridge for coffee and a look through a bookshop; then on to our first bed and breakfast – Stoke Farm in Broad Chalke. 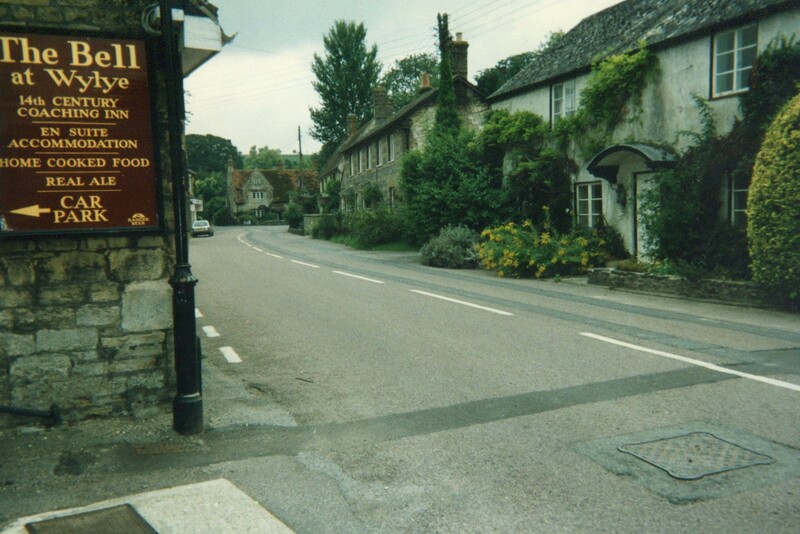 The roads leading to Broad Chalke are through Wiltshire. 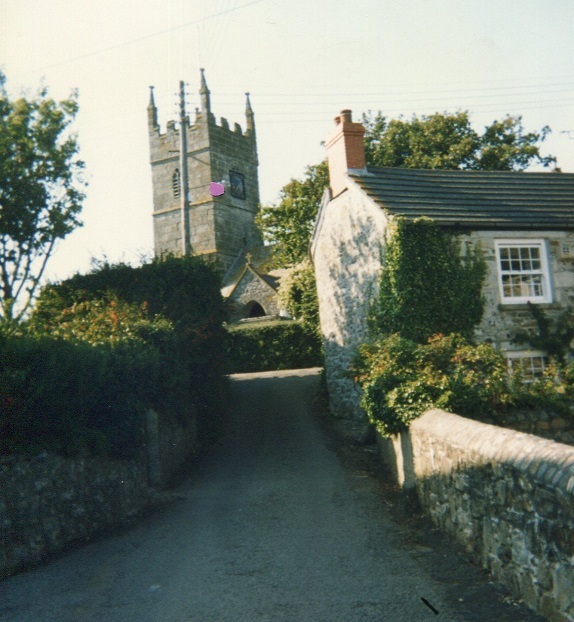 The deeper in-country we drove, the more ye olde England it became. 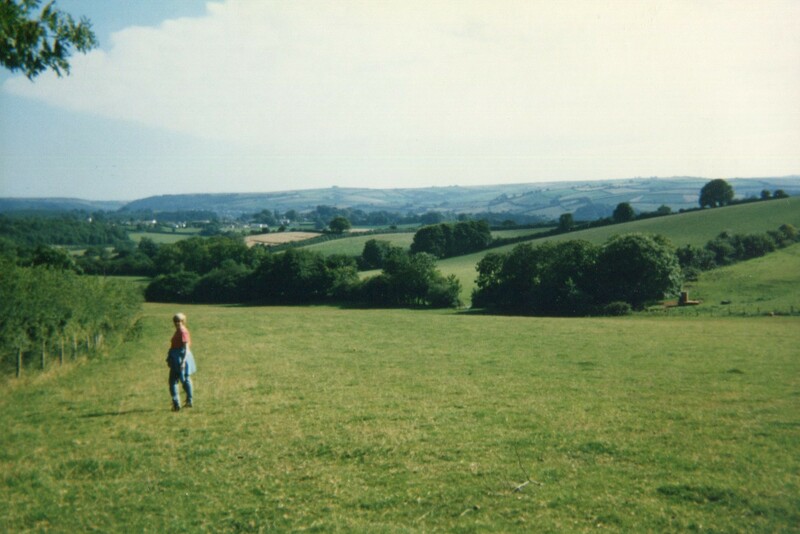 The deep hedgerows, the farmlands, the woods –the England of legend. 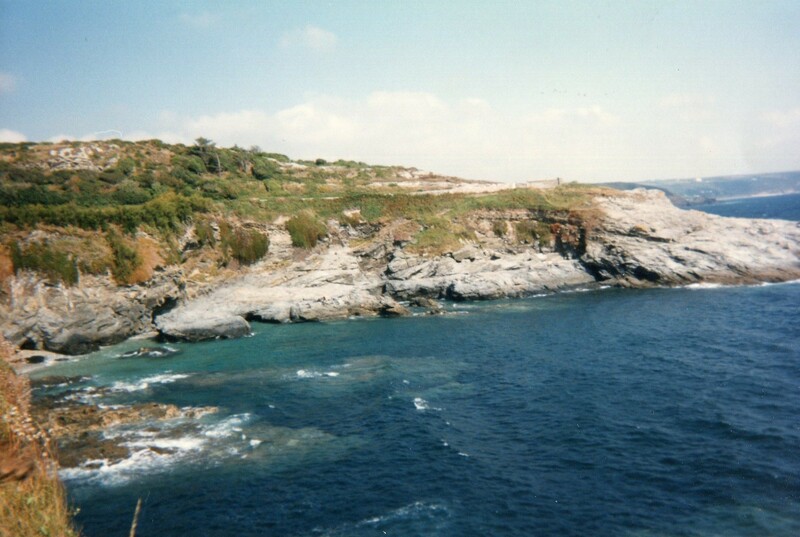 The sun shone intermittently; parts of the day were overcast – but by afternoon, it was hot. Keeping a very sharp eye out, we were lucky to spot a miniature sign saying “Stoke Farm” hidden in a hedge. It was 6PM, still daylight. Jan, the proprietor, was a charming woman who was so busy she hadn’t much time to do anything but show us the bedroom and bathroom, and ask us to write down our breakfast requests. Our first view of the farmhouse looked like something from a Jane Austen novel. Converted to a bed and breakfast, it is built of old and beautiful stone, nestling in the Wiltshire countryside. It lies at the bottom of a hill (which we climb that night after dinner.) Baskets of flowers hang from every window, and the front lawn is surrounded by evergreens and flowering plants. Cows and horses lingered in the surrounding fields. Two dogs ran around the yard. The entryway held a big Welsh dresser, with blue and white platters and china covering the shelves. The cozy dining room was papered with brown patterned wallpaper, and had a big fireplace, and an old dining table and sideboard. The only other guests were a very attractive Belgian couple, who nodded and smiled and basically said not a word to us as they only spoke Belgian…conversation was limited to good mornings. 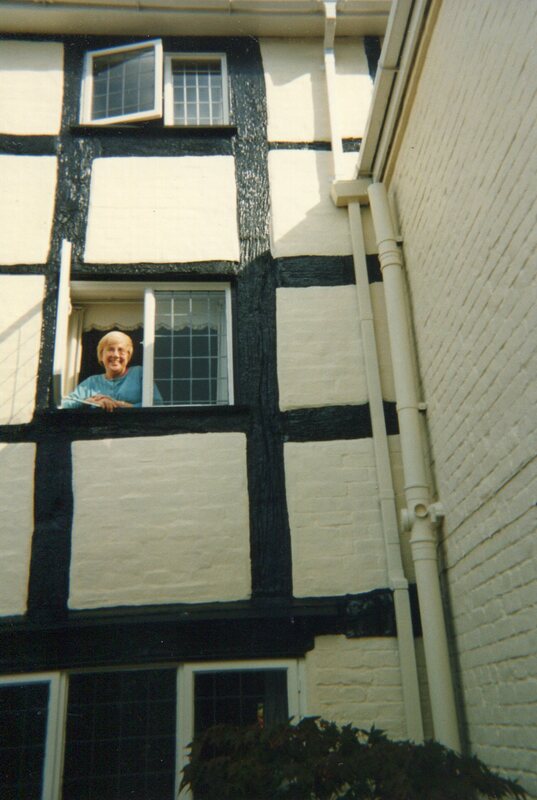 Our bedroom was, of course, charming – all chintz and prints – as was our bathroom across the hall. 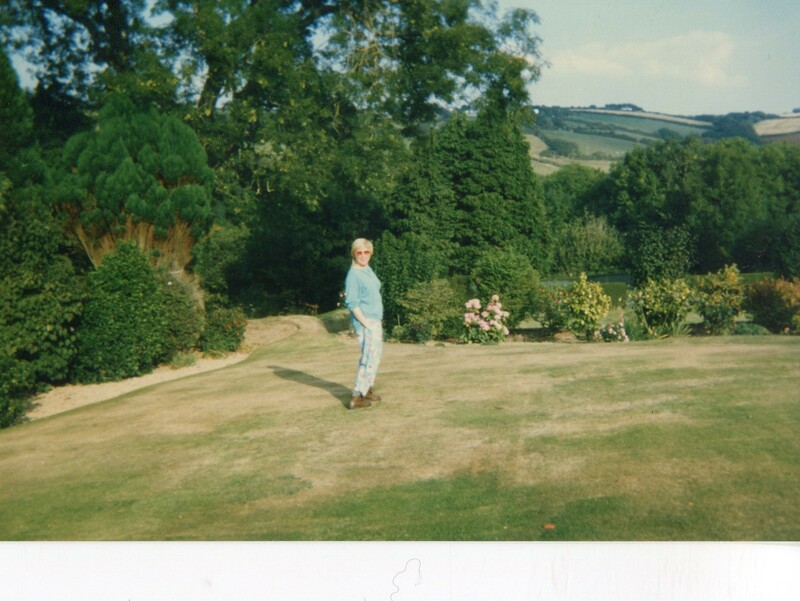 I leaned from my bedroom window to look across hills and dales and farmland, as far as the eye could see. Again, we overslept: breakfast is between eight and nine, and we woke at ten to nine. Breakfast: haddock in scrambled eggs, toast and broiled tomatoes. The hot tea hit the spot. 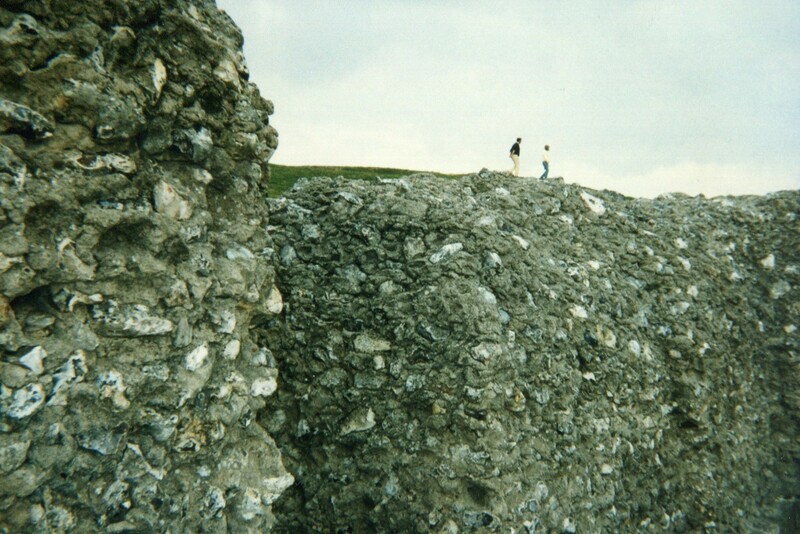 Once all that was under our belts, we planned our itinerary: to Stonehenge, and then to Old Sarum. 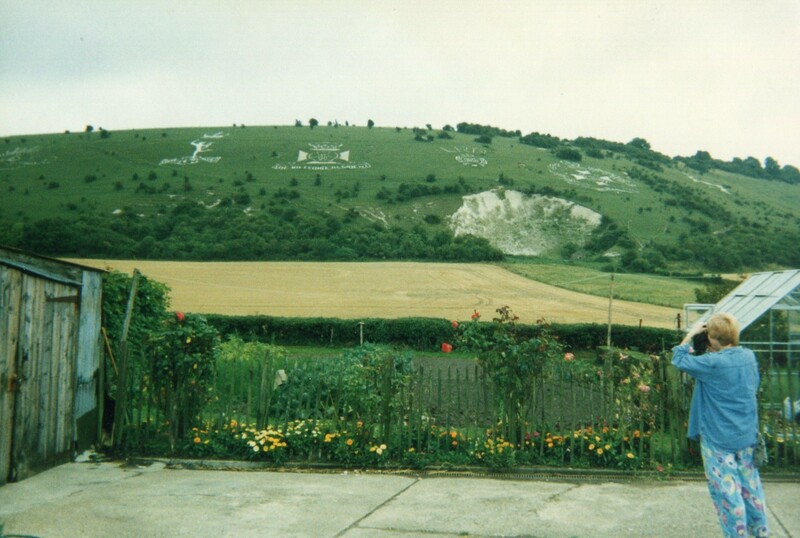 On the way, fascinating chalk figures carved into a hill just outside the town of Fovant caught our attention. Quickly parking the car, we climbed to more closely view these figures carved by airmen in World War I. From Fovant, we wended our way to Stonehenge – mysterious and fascinating. 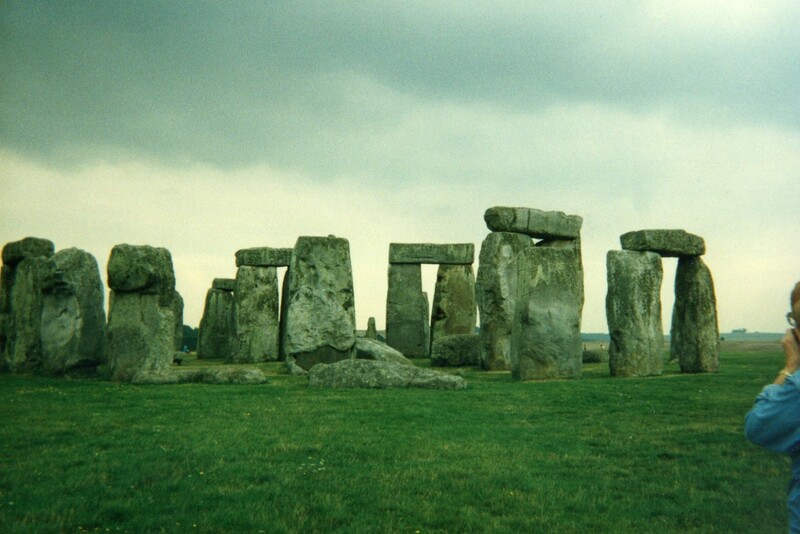 The sky was overcast, the day gray and windy- what better for Stonehenge? The monoliths are visible from a great distance, and seas of grass stretch for miles around…all is emptiness, except for a few tourists and the monolithic stones. We stopped for a little “smack of something” on our way down the I-30. The tea shop had great coffee. As a matter of fact, the coffee is usually excellent; of course, the tea was terrific, piping hot. 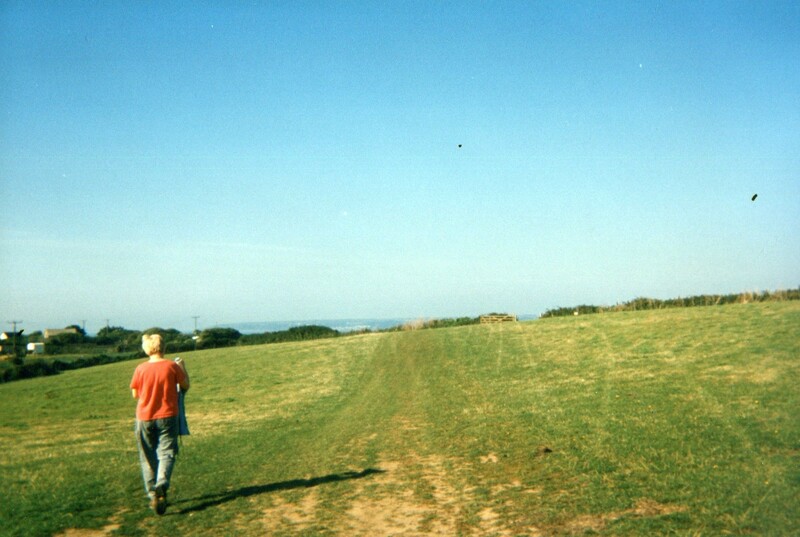 Back on the road, we pulled over halfway to Lyme Regis for a long walk down a country lane, over neon-green fields. In a sheltered corner, we stopped to eat our lunch, bought at the tea shop. In my pack is “homemade bread pudding” with raisins – half of which is eaten by Lee, who had formerly announced she does not like raisins. 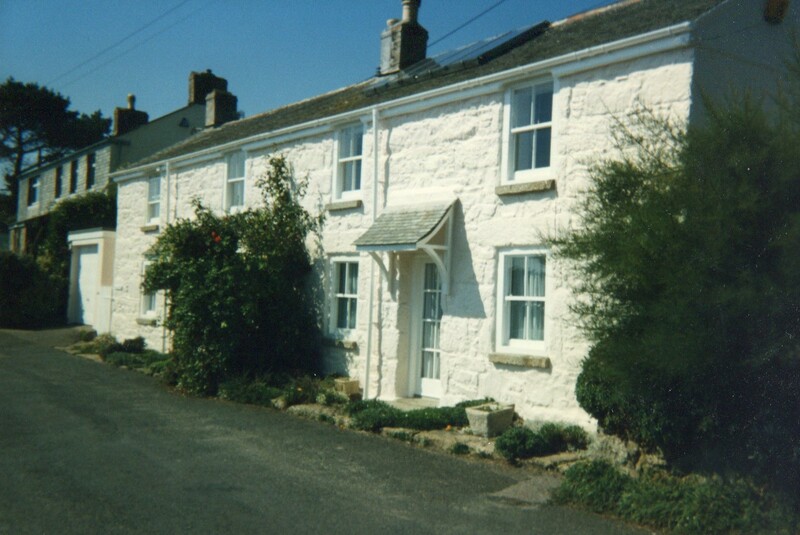 Onward to Lyme Regis through the little town of Uplyme – very pretty with pastel-painted houses. Lyme Regis lies just beyond, and at first glance seemed very touristy, not at all what we had in mind. 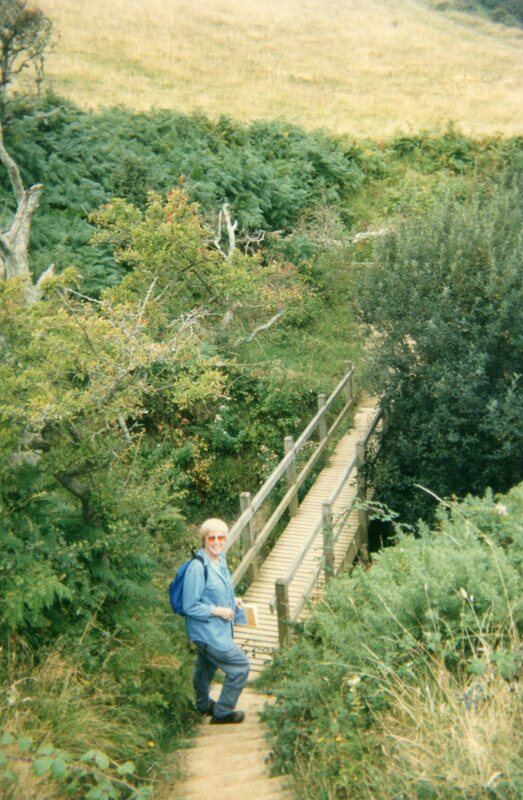 But after finding a small white hotel with two small rooms – about 20 pounds apiece – we headed for the beach, walking through the center of town to reach the boardwalk. We clambered over concrete “sand dividers” to reach a deserted stretch of sand that was both pebbly and seaweedy and rather forbidding. 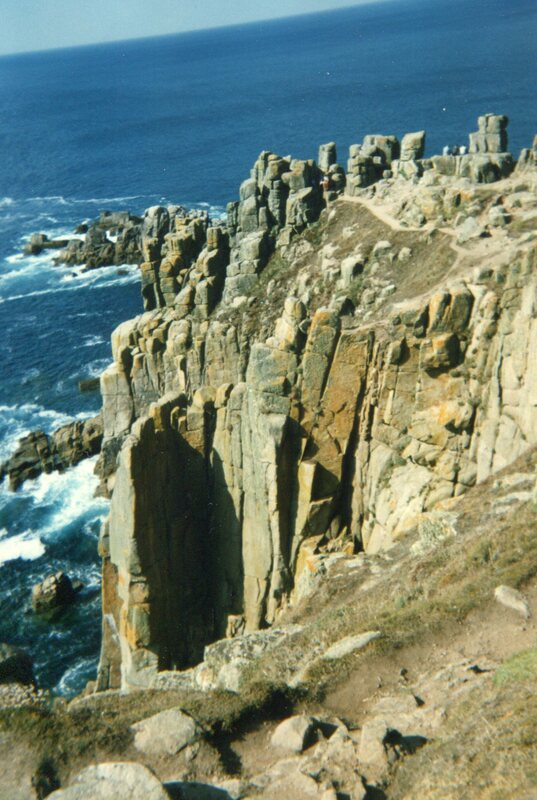 The cliffs of solid sand are high and dangerous, but climbing was forbidden because of the constant erosion. Then the beach suddenly opened up and stretched literally for miles, and the late afternoon sunlight played on the cliff face. For the first time, I felt “I’m here!” It was so beautiful and lonely and we could have walked for miles, but the tide comes in rapidly, so we had to turn back sooner than we wished. We were in the parking lot at Lyme Regis, trying to find our way out. After several turns around the maze-like lot, we finally gave it up as a bad job, and asked the parking attendant to direct us to the gate – which happened to be straight ahead. The look on his face was indescribable. Disconcertingly, several people stared blankly at us when we ask directions, but even though some gave directions such as “you can’t miss it, only two miles down the road”, or “plenty of signs to it, dear, just keep going straight” we seemed to travel in circles. Only when we were told “turn right at Bertie Wooster’s Restaurant” did we finally reach our destination. And here we are at Ednovean House – except for the fact we arrived a day early! Apparently really screwed up, having booked our room for Friday and Saturday nights; no rooms are available tonight! 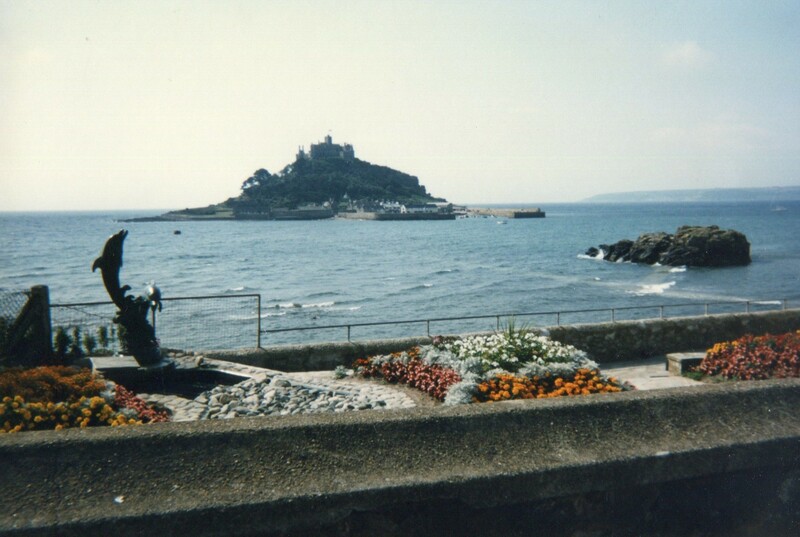 Once again, we’re back in the car, on the road for Marazion, a small town two miles away. 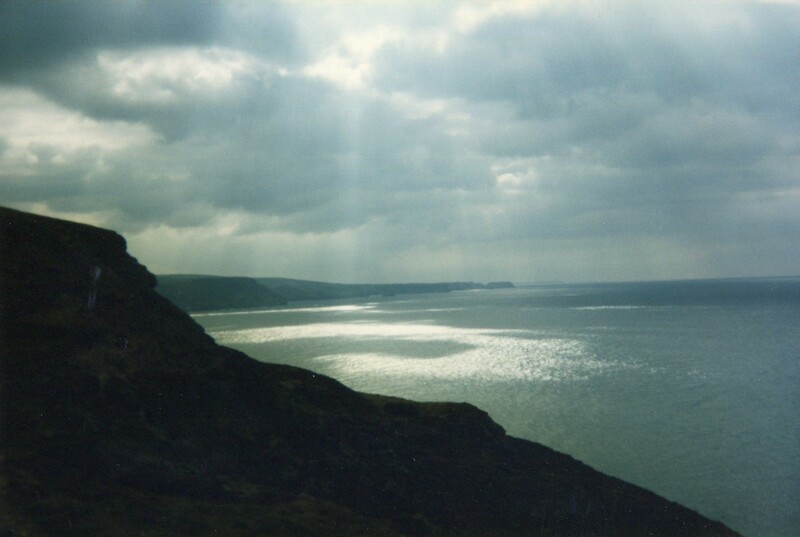 The wind gusted across the cliffs, the sun was brilliant, the day warm and glorious. We rested on the rocks below, taking in the fabulous beauty before returning to the cliff top – and feeling fabulously alive. This was an incredibly magnificent site…we were both in awe of the majesty of the vistas surrounding us. We were the only people on the causeway, except for one solitary man. The tide was out, and had left fishing boats beached in the sandy cove. Unfortunately, we were unable to actually enter the castle, as it is too early in the morning, but we were able to walk the outside grounds. 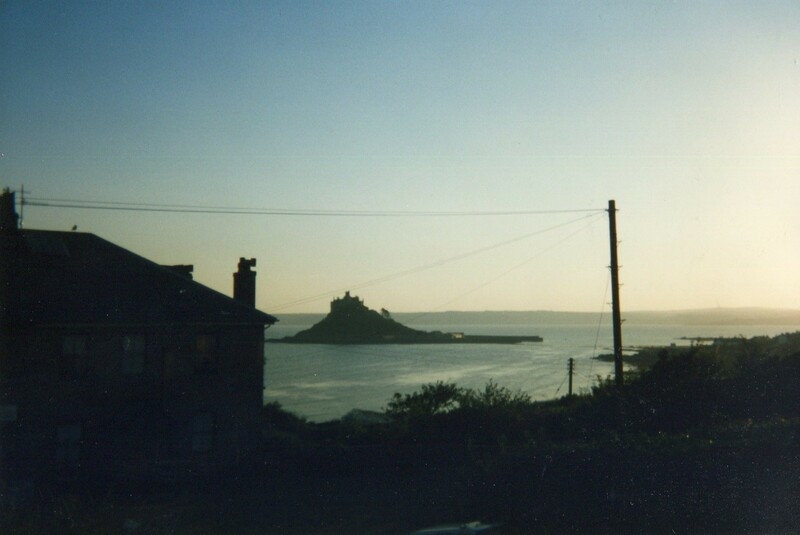 The tide turned, and the causeway was awash, so back to Ednovean House in time for breakfast…then we were off to Mousehole, a tiny fishing village that was home to my grandmother and grandfather many years past. 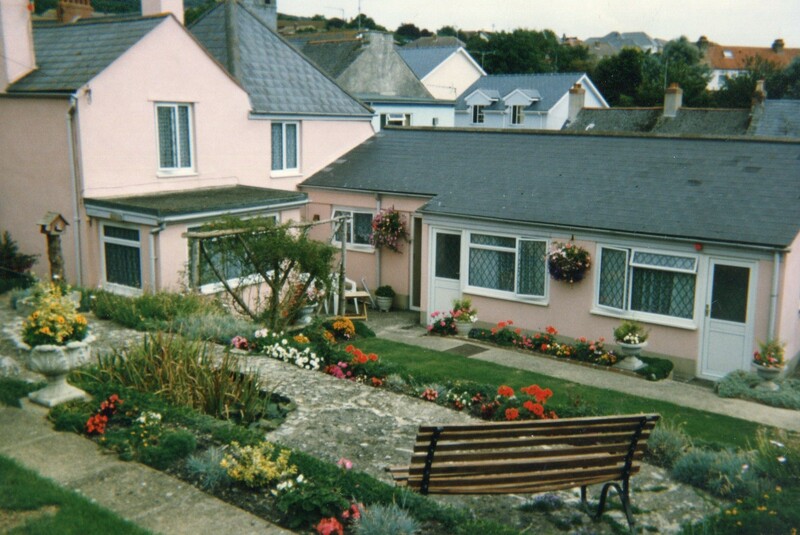 Mousehole is built on a hill, its tiny grassy paths leading to backs of houses, and uphill to glorious views of the bay. Its tiny harbor is filled with fishing boats, and many, many people wander its winding cobbled streets. 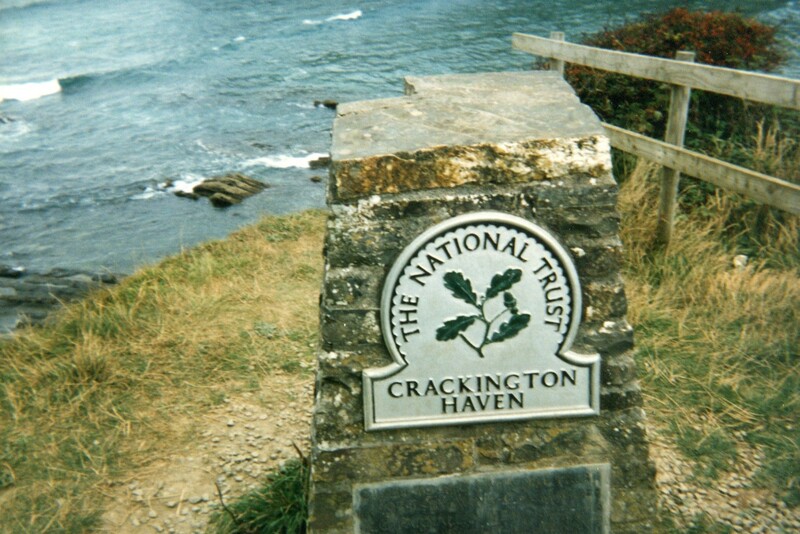 We drove on to Crackington Haven…not far, actually. 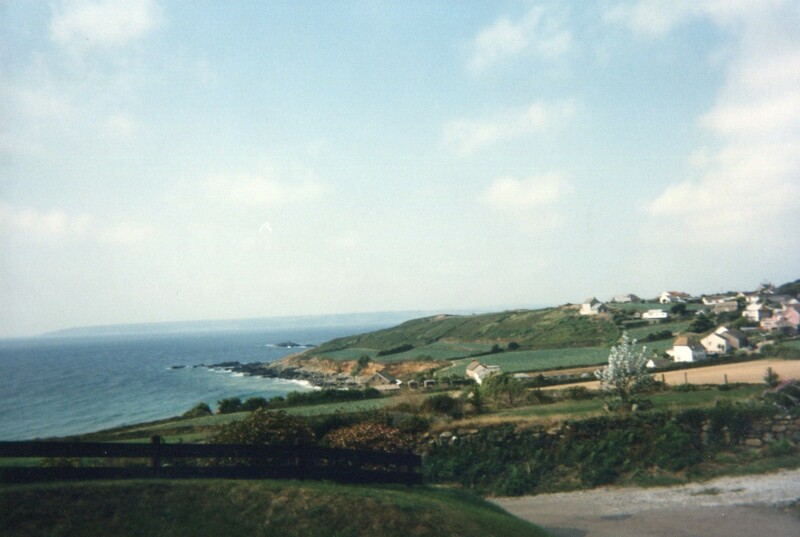 The road to Crackington Haven, which is situated high atop a hill overlooking the sea, winds up, up and up. 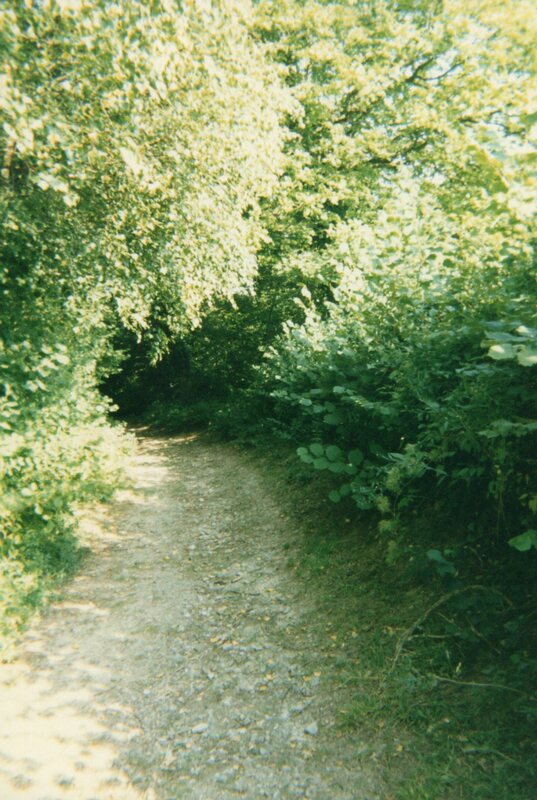 We turned down the short grassy lane to Manor Farm, which, we were told, is listed in the Domesday Book. It is very, very old, and very, very beautiful. The grounds, looking as if they are clipped daily with nail scissors, were splashed hydrangea bushes at every possible turn, all blooming in glorious colors. After an hour-long walk, we took our dirty clothes to be washed at the requested 5:30 PM. Cleaned up, we ran back downstairs for cocktails at 6:30. (Our clothes are given the once-over, then ignored.) Dinner, where we met two young couples staying at the Manor, was turkey steaks with mustard sauce, fig pie with raspberry sauce and clotted cream, cheese and biscuits, and wine. Coffee is served afterwards in the drawing room. Then we took off to explore. 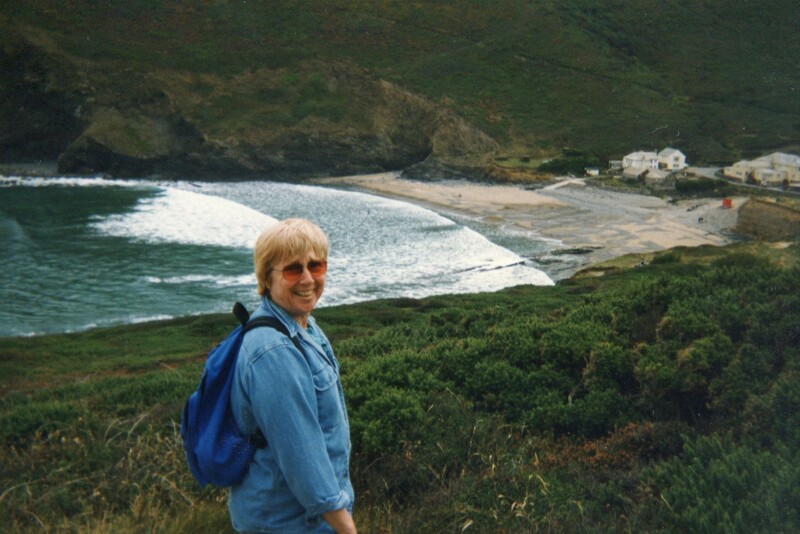 First on our list was Bude and a walk over the cliffs. Bude is not a pretty place. The sand on the beach was churned up in giant mud flats, and the day was overcast and dreary. We decided to move on to Tintagel. And what a disappointment it was (to me, anyway)! The town is very gimmicky and full of tourists, and the headland itself was blocked by King Arthur’s Castle Hotel, a ghastly lump of red brick with absolutely no redeeming architectural value. We were shocked, and needless to say, did not stop. In retrospect, that was a mistake, as there’s always something hidden behind the touristy buildings that makes a visit worthwhile. 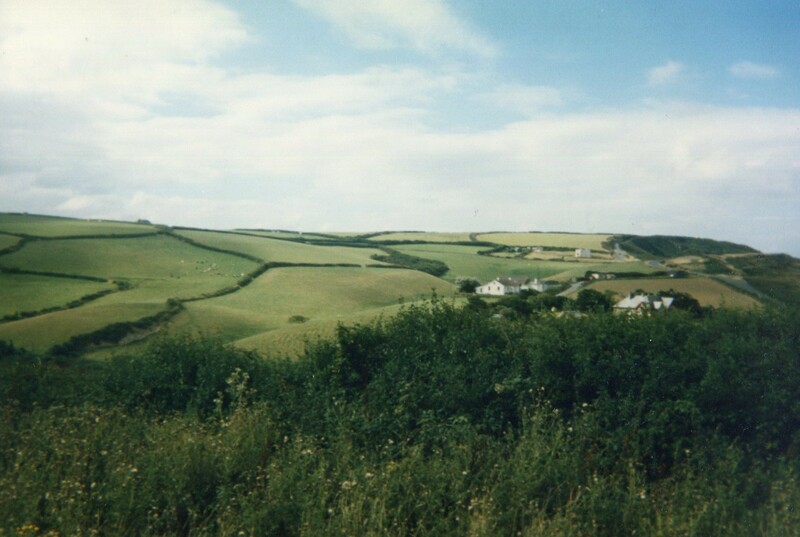 Nonetheless, we plowed on to Boscastle. 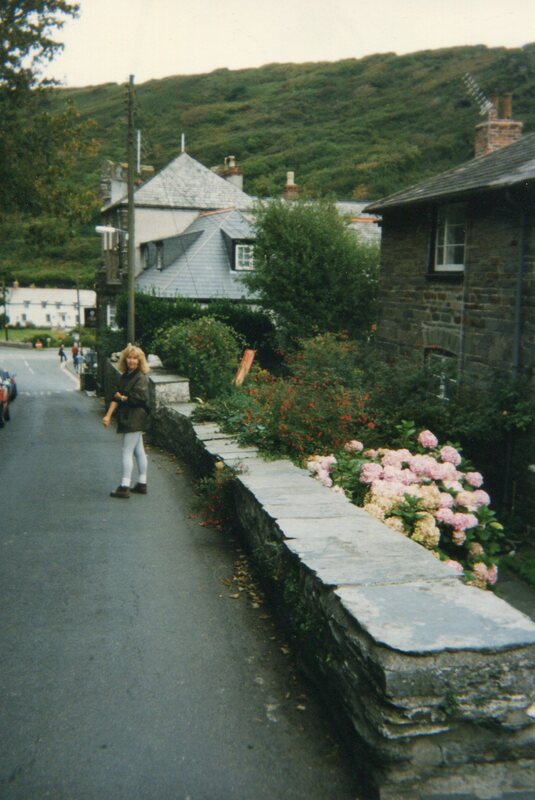 It’s not far to Boscastle, a harbor town built down the side of a mountain. Steep, steep, steep little roads led to a walled village over which the mountain cast its immense shadow. We met a bus head-on, and the roads are so narrow, our lives flashed before our eyes! 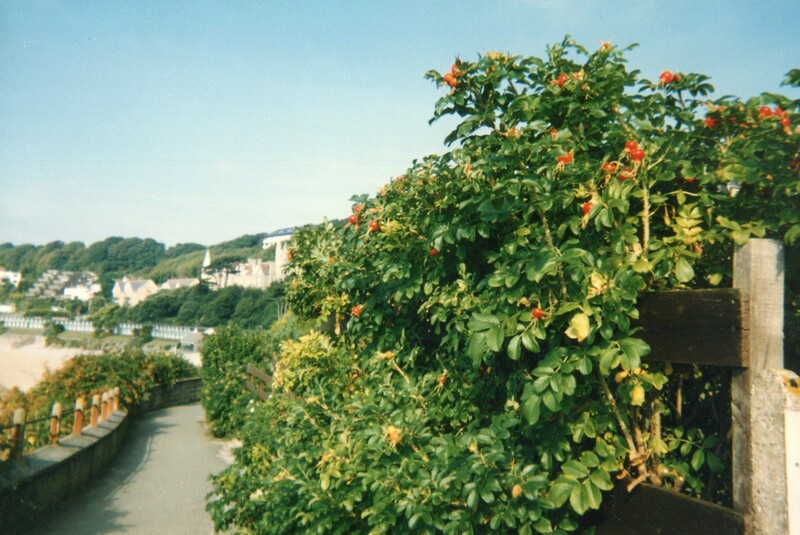 The houses and buildings here are very old, with gray slate roofs, and pots of bright flowers hanging from walls and dotting the small gardens. 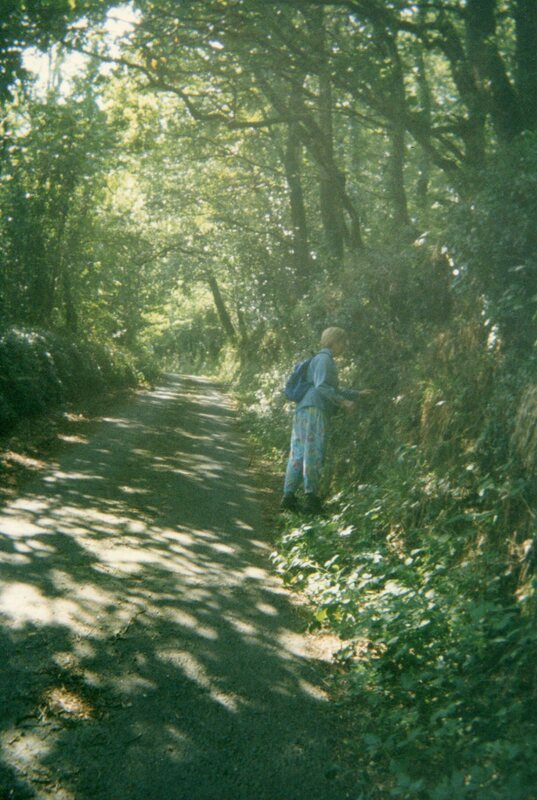 The trees lining the road are strung with ivy; dry stone walls support the soaring mountain forest at every turn; lichen and moss cover every possible rock, crack and crevice, and a wide variety of delicate flowers poke their heads from the hedgerows. Early this morning we hiked for twenty minutes, making sure we are back in time for the breakfast bell. Two new couples joined us at the breakfast table, one from Chepstow in the Wye Valley, and one from New Jersey. Another hearty breakfast is consumed (both of us too nervous about Muriel to leave anything on our plates), and then we were out the door and off. 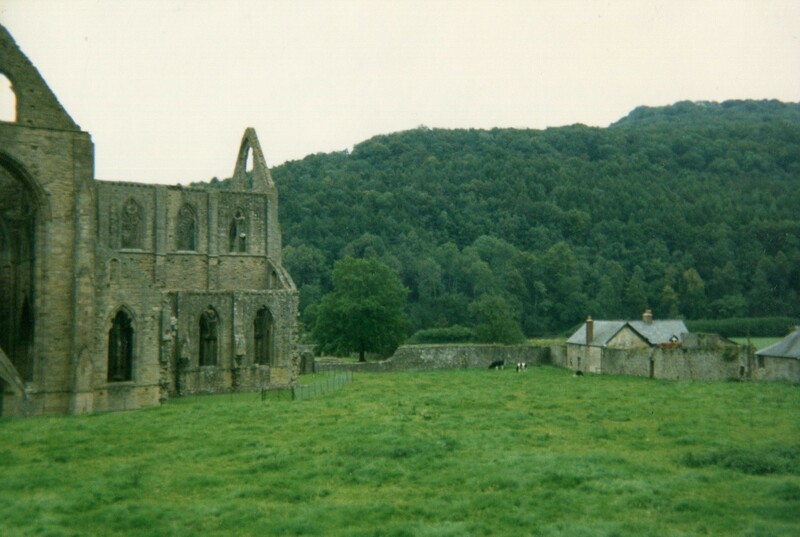 The couple from Chepstow spoke so glowingly of the Wye Valley, we turned onto the road to Tintern Abbey. 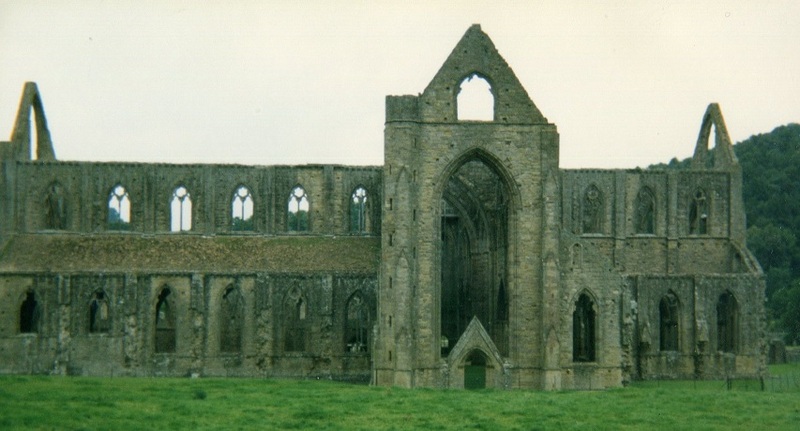 The Abbey is a beautiful ruin, the gray stone as fragile as lace, set on a green grassy sward, at the base of a towering mountain. 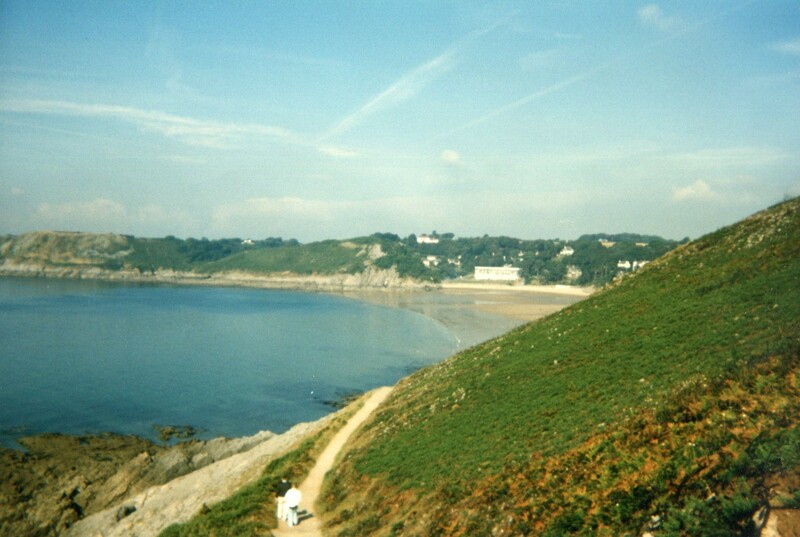 A quick lunch, and we’re back on the road to Wales, and Mumbles, Swansea. 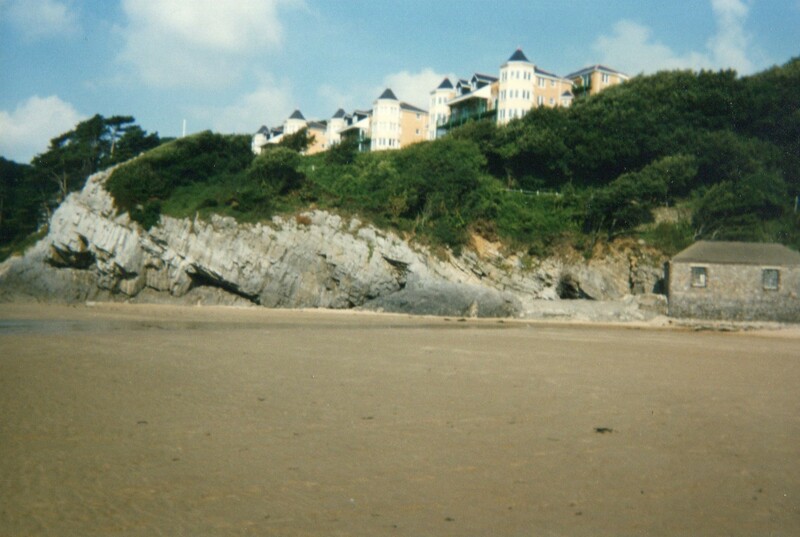 We finally reach Mumbles, where I spent much of my childhood. It has become a tourist mecca, and is thronged with people. Every road and pathway is built up. I wondered if Thistleboone Gardens was still there….not only is it still there, it looked just the same as it did when I was a child. 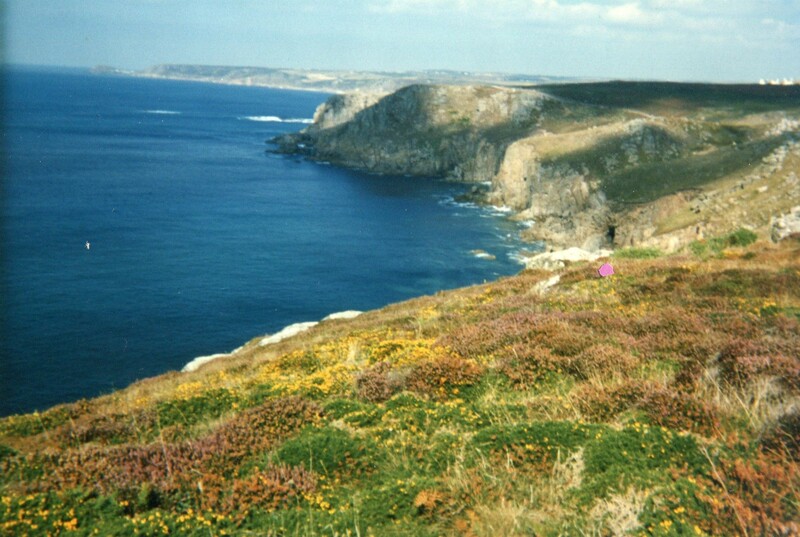 But… we were no longer able to walk from the Gardens over the cliffs; built over with subdivisions, the land has become too valuable to stay wild. 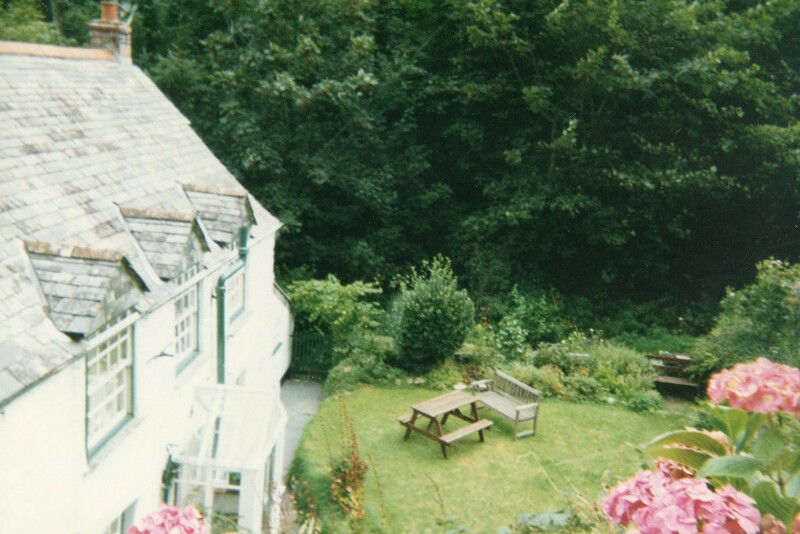 As we hadn’t booked into a B&B or hotel, we had a difficult time finding somewhere to stay. 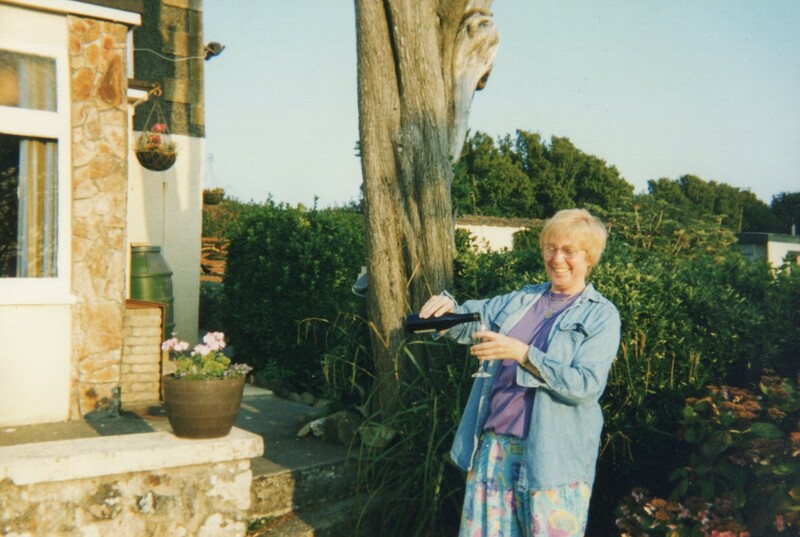 Finally we found a rather primitive B&B – only one toilet, and NO soap! Our proprietors, however, were delightful (and the food is good, always a plus.) We toted our luggage upstairs, then left for a walk along the front to the old pier. 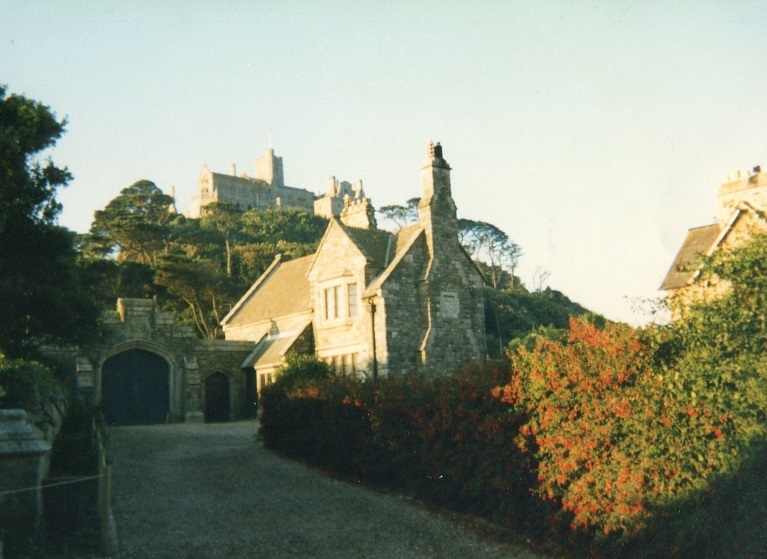 The castle still brooded on the hilltop. The boardwalk was filled with tiny booths and video games. The population was out in full force, as the weather was balmy. But it is true: you can’t go home again. It was difficult to see this place of my childhood so clogged with shops, houses, cars, and people. In retrospect, I realize that perhaps I set my sights too high. The years had made a difference. 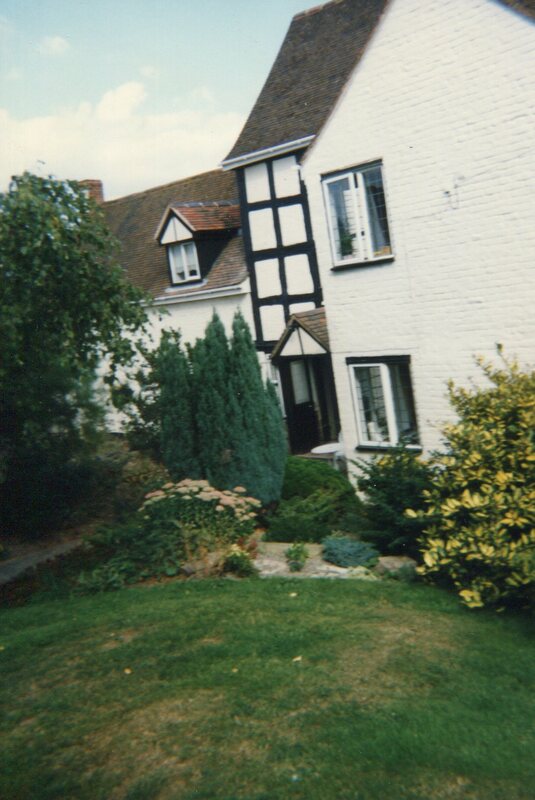 I loved this house…indeed it is one of the most splendid B&Bs we stayed in. We met more of the family: Sue, Chris’s wife, brown-haired, petite, pretty; and Lucky, her three-legged cat, who slept in a black puddle of fur at the top of the stairs. We left this idyll to drive into town for some shopping and a newspaper, then back to Cowleigh Park for another long walk up the Worcestershire Way.The Worcestershire Way winds through farmlands over untamed fields high with unmown waving grass; through fields of mown hay and bright yellow rapeseed; past a small signpost with the legend “Badger’s Wood”; through a huge apple orchard, the trees bent to the ground and loaded with apples. It continued through fields filled with cows -and one black bull seemingly somewhat annoyed with our presence. As he jogs towards us, we nimbly leapt into a small fenced pen, obviously there for just this reason. Across more fields, down wooded lanes past geese and sheep, we rambled: the sun is out, and the warmth of it is full on our faces. Time to go home (sob). After breakfast, up and away on the M-40, on the road back to London. A quick lunch at a service center halfway to London took us from the sublime to the ridiculous. We eat quickly, and are glad to be back in the car. On our arrival, the nightmare of trying to find our hotel in the morass of one-way streets begins. The traffic! The noise! The crush of it all! Between the U-turns and reverses in the heavy traffic, we are ready to leave the car in the middle of the road and simply walk to Covent Garden! Finally, in desperation, I parked in a no-parking zone, and Lee walked to our hotel to fetch the concierge who drove us directly to our hotel, no worries. I will never drive in London again! 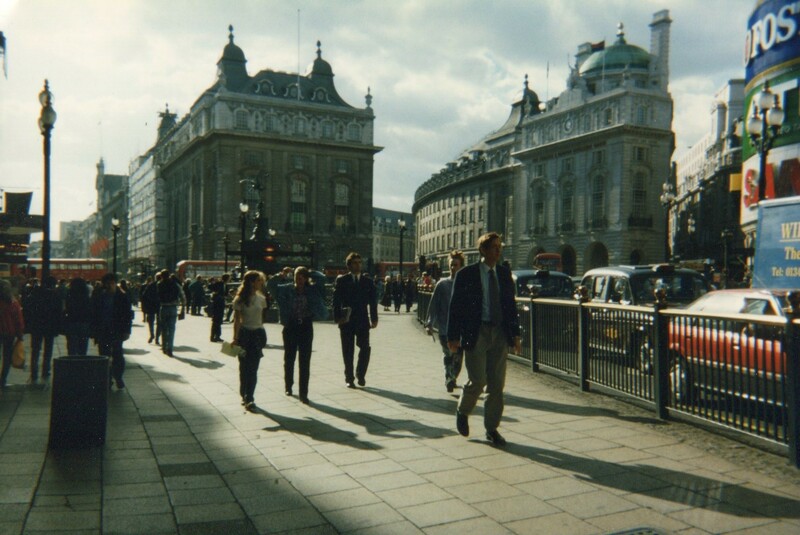 After dropping our luggage at the hotel, we walked to Trafalgar Square and Piccadilly Circus, down Charing Cross Road, and to Fortnum & Mason. Then it was back to the hotel, where I looked forward to a bath in the immense tub, surrounded by pristine white tiles, and where half a dozen thick white towels were hanging from a gleaming chrome towel warmer. Two extra-thick terry cloth robes hung behind the door. There is something to be said for a little luxury! 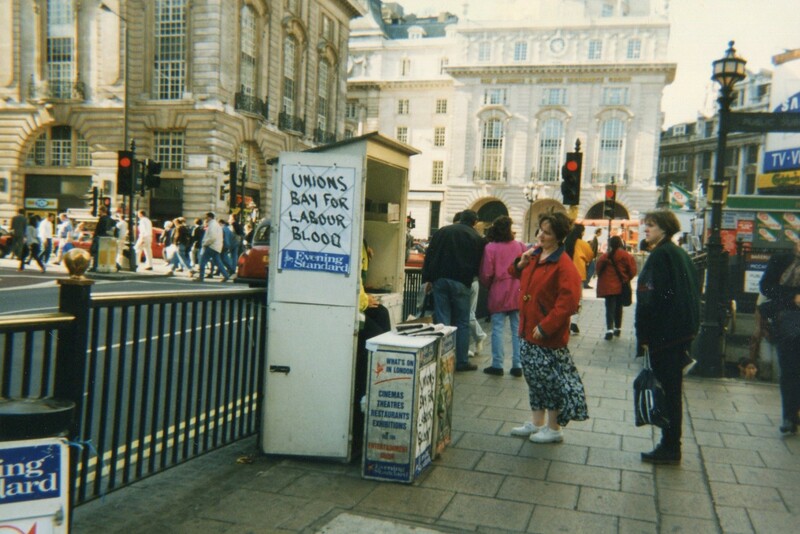 I must confess, I did not care for London on this particular trip. Too big, too impersonal, too busy, too many cars, too many people. 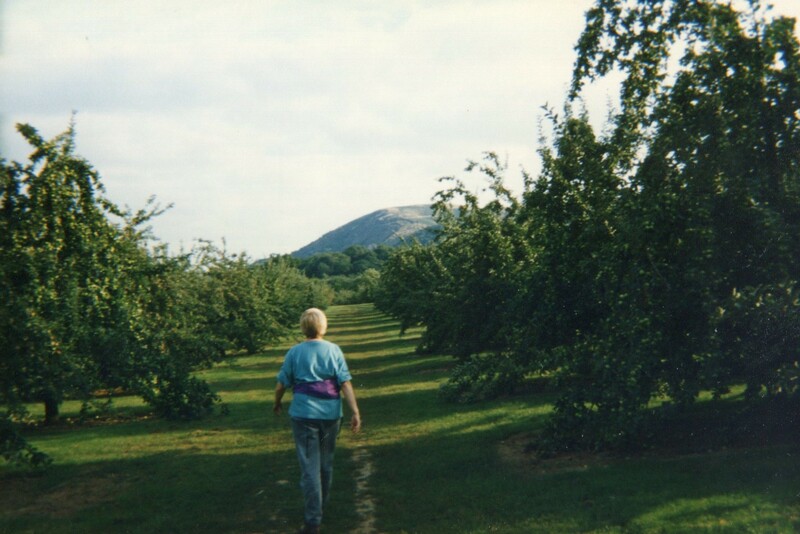 It had its moments, but discovering the countryside did it for me. In the deep heart of England and Wales, I found exactly what I was looking for: unspoiled country, beautiful, and timeless. It has all been wonderful. 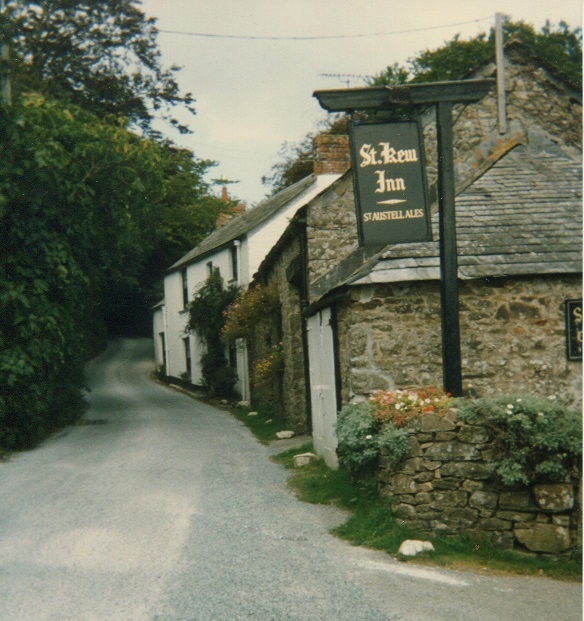 Posted in Uncategorized and tagged Boscastle, Bracelet Bay, Brecon Beacons, Broad Chalke, Bude, causeway, Charing Cross Road, cliff walks, Cornwall, Covent Garden, Covent Garden Hotel, Crackington Haven, Domesday Book, Ednovean House, England, England of legend, fish and chips, Fovant, Gatwick, Haye-on-Wye, King Arthur's Castle, Land's End, Langland, Langland Bay, Leicester Square, London, Lyme Regis, Malverns, Manor Farm, Marazion, Mousehole, Old Sarum, Perranuthnoe, Sloane Square, St Michael's Mount, St. James Street, St. Kew, St. Kew's Inn, Stoke Farm, Stonehenge, Swansea, The Cotswolds Way, the Great Malverns, The Mumbles, The Strangles, the Worcestershire Way, the Wye Valley, Tintern Abbey, Uplyme, Wales, Wales and England: Hiking hidden footpaths, Welsh, Wiltshire, Worcestershire. Bookmark the permalink.